Roofing Services's certified roofers provide expert shingle roof installation, shingle roof repair, and shingle roof replacement. Whether you're looking for a roofing contractor to install a shingle roof for a newly constructed home or an addition, Roofing Services provides top quality workmanship. 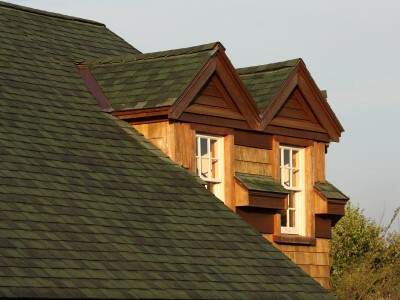 We've been installing shingle roofs for more than 20 years. Shingle roofs combine economy and purpose. Shingle roofs are economical, but that doesn't mean they have to be boring. They also don't have to be black. Roofing Services offers a variety of asphalt shingle products, including strip shingles, dimensional shingles, and premium asphalt shingles. Choose your product, then choose a design and color that truly enhances the look of your home while providing excellent watertight protection for your roof. Roofing Services has been in the roofing business since 1999. All of our experienced roofers provide top quality service and top quality roof installation. When you're in the market for asphalt shingle roof installation, call the professional roofers at Roofing Services for a no-cost estimate: (310) 504-3290. What you need to know about asphalt shingles. Roofing Services strip shingles are built on a resilient fiberglass base for maximum wind resistance. They are single-layered and are typically designed to look like slate. They are the lightest weight shingle product and the most economical. Dimensional shingles are multi-layered to provide a thicker, richer appearance. They are a heavier weight and can last for more than 30 years. Our premium asphalt shingles offer an unparalleled aesthetic appeal. They can imitate the look of natural slate or cedar shake for a fraction of the cost. For help choosing the perfect asphalt shingle roofing product for your home, call (310) 504-3290.